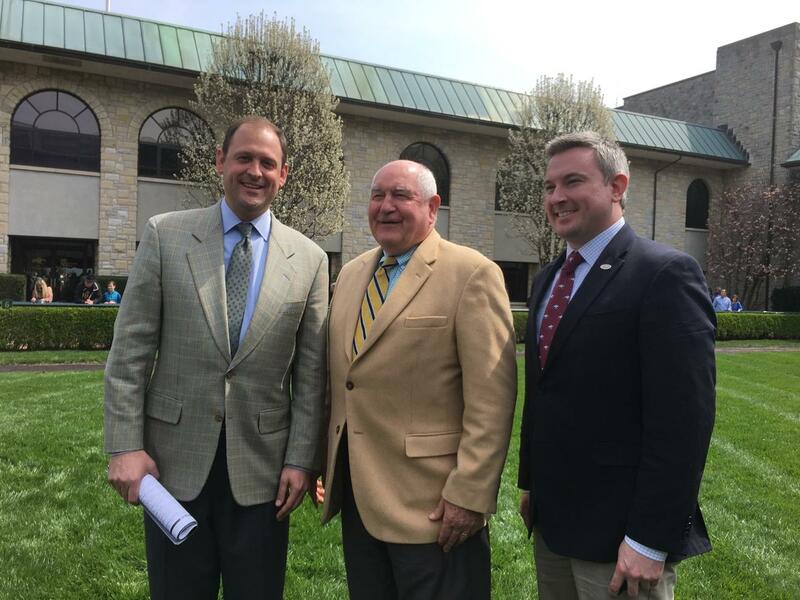 Rep. Andy Barr, U.S. Secretary of Agriculture Sonny Perdue and Kentucky Secretary of Agriculture Ryan Quarles toured Keeneland Friday. President Donald Trump says Secretary of Agriculture Sonny Perdue will take the lead in handling current trade disputes with China. But Perdue, who is visiting Kentucky, is keeping his plan vague. Perdue toured Lexington’s Keeneland racetrack followed by a gaggle of reporters. When asked whether crop insurance could be a way to help support farmers Perdue had this to say. 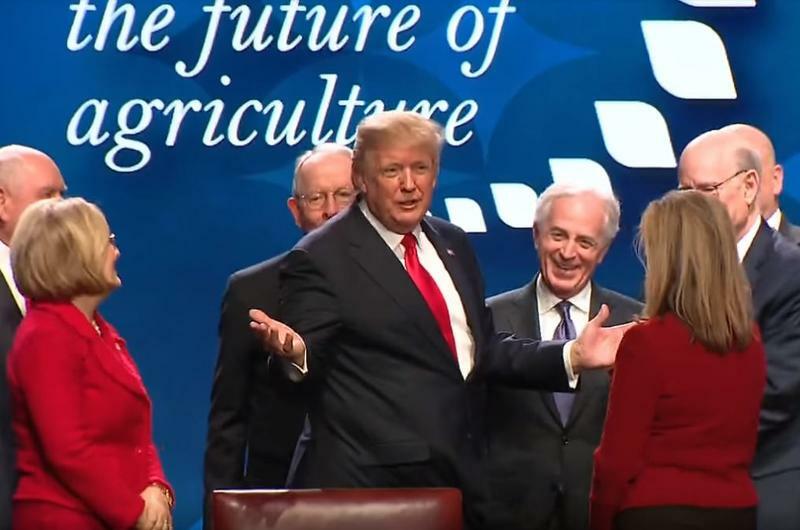 Trump got a warm welcome from the farm bureau crowd. Farm country likes his promises to reduce regulation. But on trade, many growers are growing nervous. Smith thinks it is too early to see a direct impact from Trump’s first year in office, and he’s hopeful but nervous about Trump’s tough talk on NAFTA.